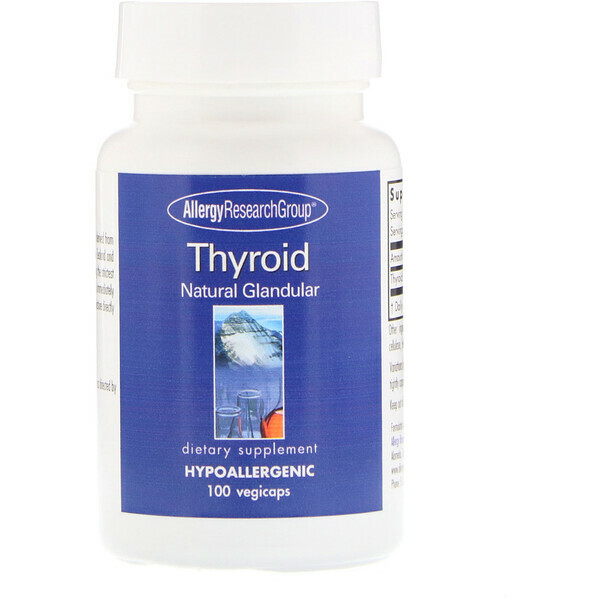 Provides thyroid tissue. Our natural glandular material is derived from government-inspected, range-fed animals, raised in New Zealand and Australia, whose animal husbandry regulations are among the stirictest in the world. The material is lyophilized, which means it is immediately frozen, then subjected to a high vacuum that vaporizes moisture directly from the solid state. 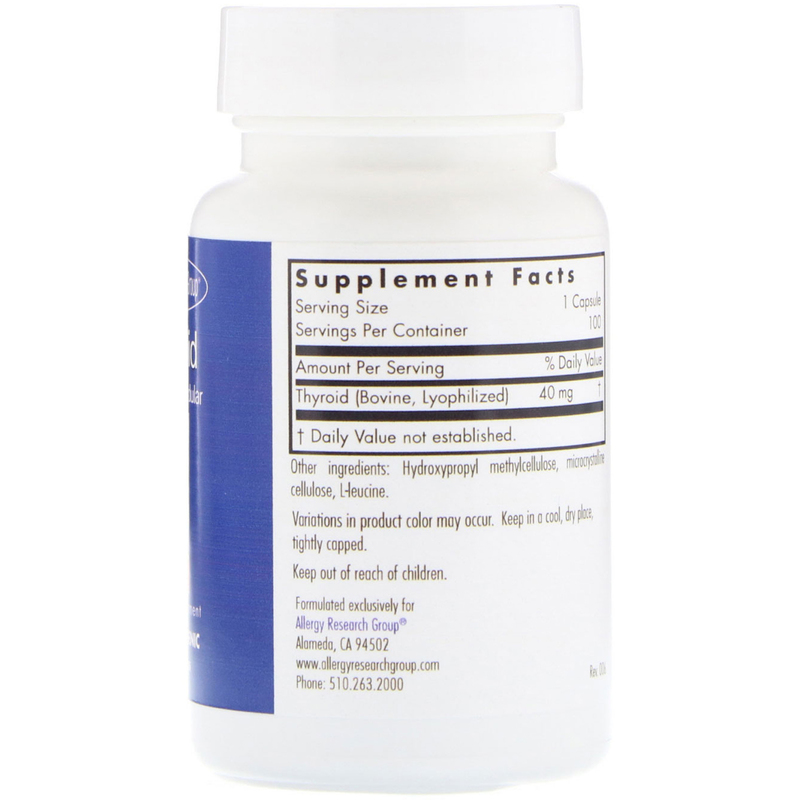 Hydroxypropyl methycellulose, microcrystalline cellulose, l-leucine.